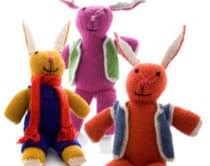 It’s crazy to think we just passed the holiday season and are now on to Valentine’s Day. 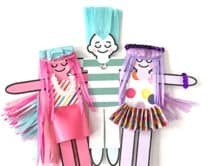 I doubt you’ll need extra inspiration to get your kids excited about this sweets infused holiday – but just in case – here are some happy Valentine’s art projects to get your little one’s heart to skip a beat. These won’t contribute to any cavities, either. 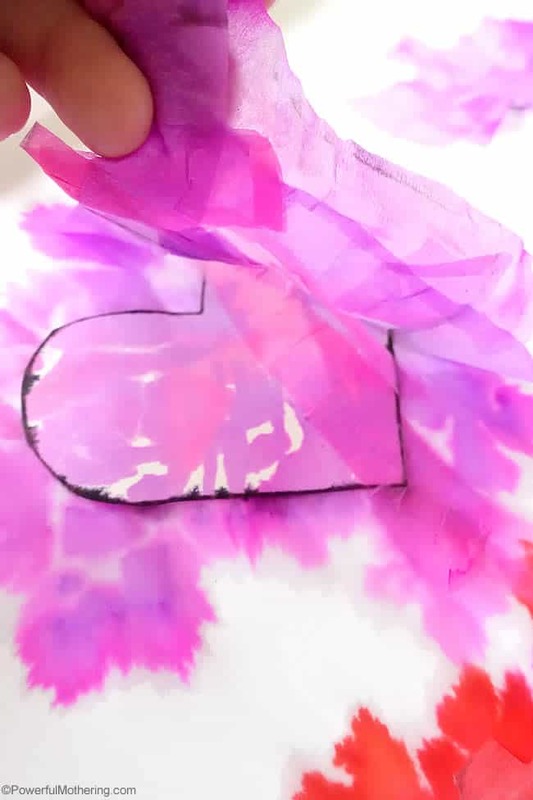 Find out how to make beautiful swirly effects using marble milk technique to craft up these sweet Valentine’s Day books. 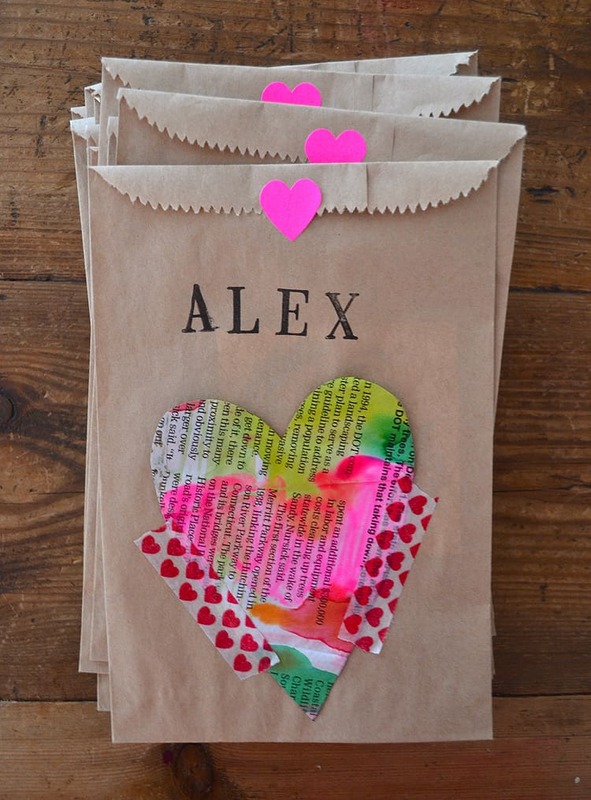 Simple art materials are all you need to create these stunning tissue paper hearts with look so pretty when displayed. 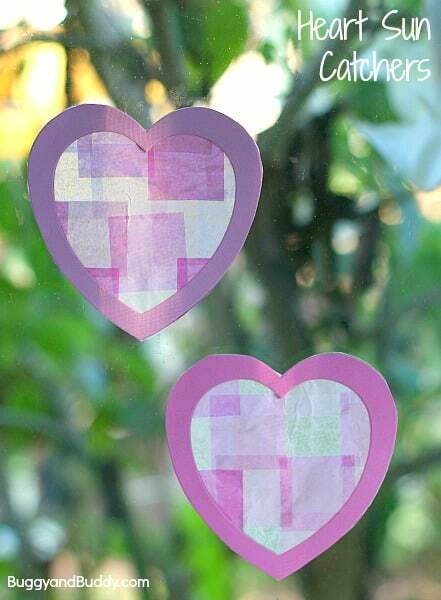 Kids will love designing their own patterned heart suncatchers with wax paper to hang by the window. 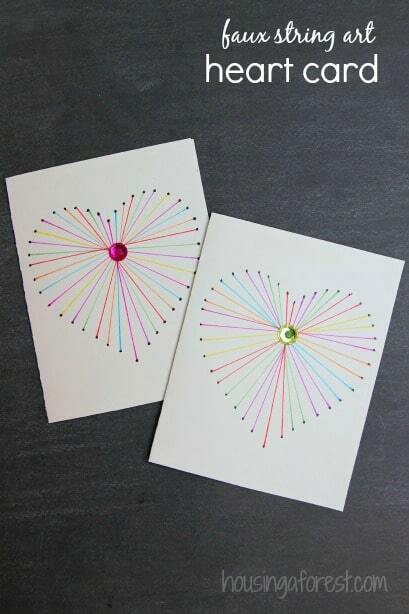 Make a simple and artistic Valentine cards that resembles intricate string art with a sparkly center jewel. 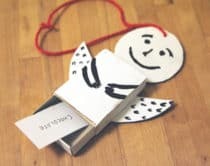 Handmade Valentines from kids are the best. 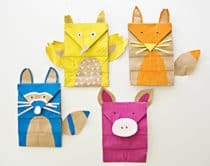 Let the kids have fun painting, cutting and stamping away in this fun newspaper art project. 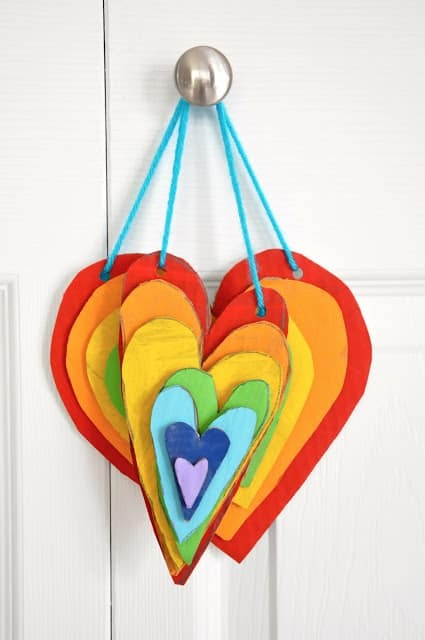 Don’t these painted rainbow hearts just cheer you up? 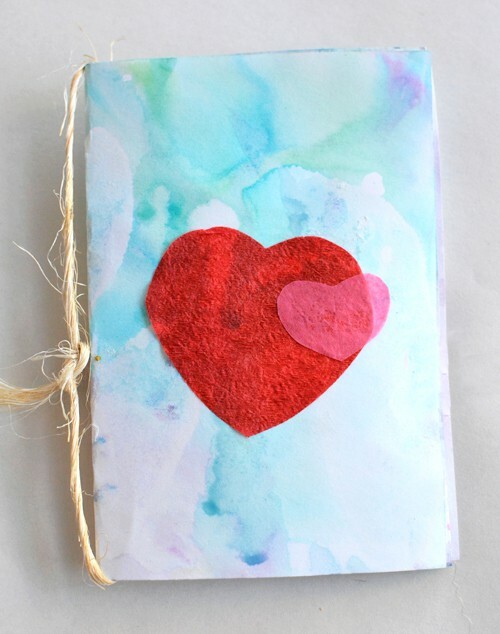 Little ones will love painting these cardboard hearts for a colorful recycled art project. 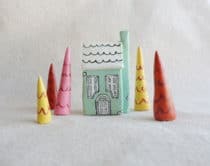 These swoon worthy puffy paint window clings come with a printable template for you to easily make your own. 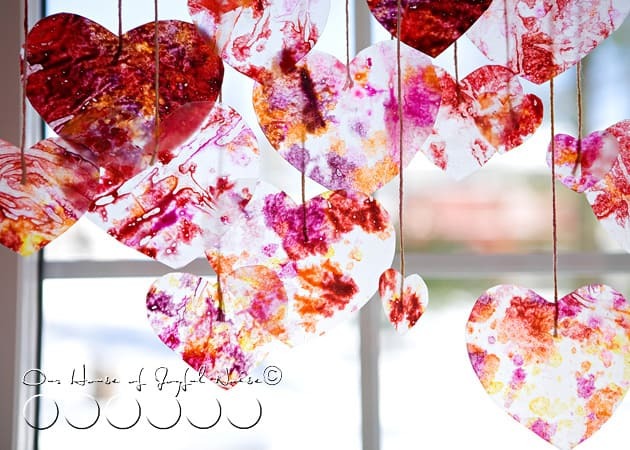 Craft up these pretty crayon hearts that provide vibrant texture and colors to make pretty hanging hearts. 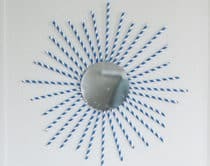 I love this simple art project that also makes a fun craft activity. 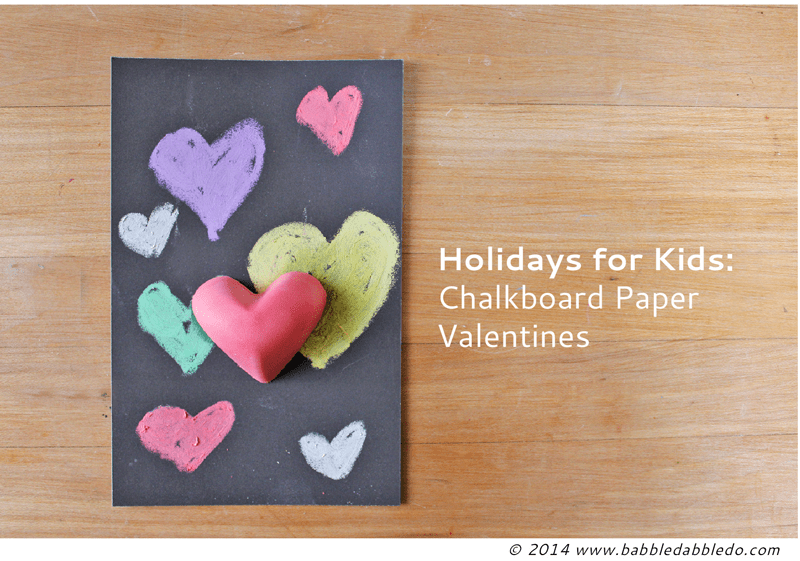 Make (or buy) heart chalks to write lovely messages that will stand out. 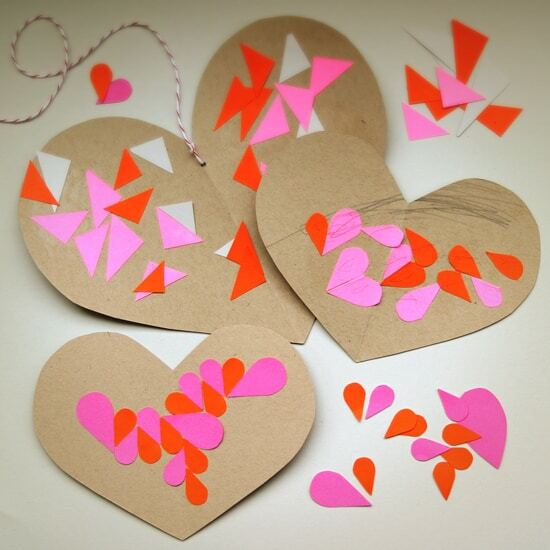 Explore geometric shapes and create simple and modern paper Valentines with your little ones! 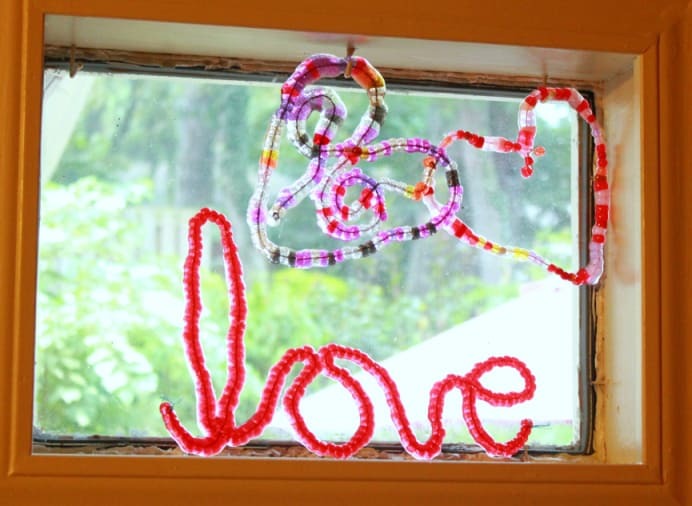 Bright, sparkly and totally adorable – explore writing words and heart shapes by making these stunning melted bead suncatchers. 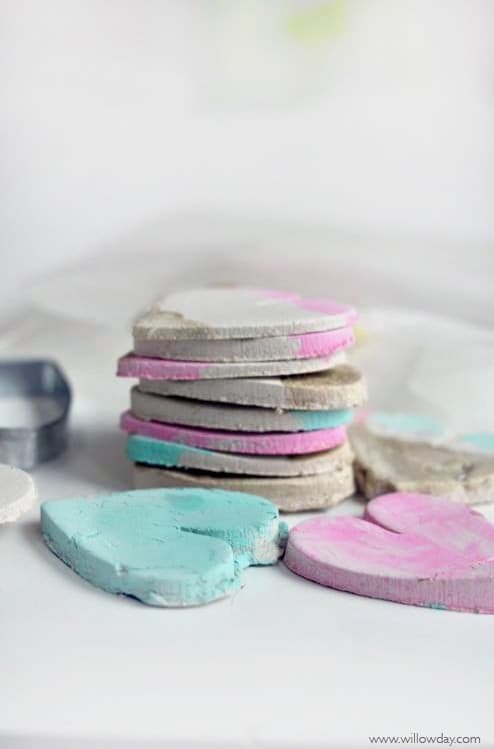 Kids will love molding these cute clay paint-dipped hearts to make a game, decorations or magnets! 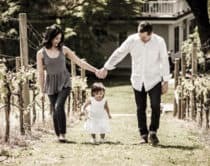 Shaving cream is messy but oh-so-fun! 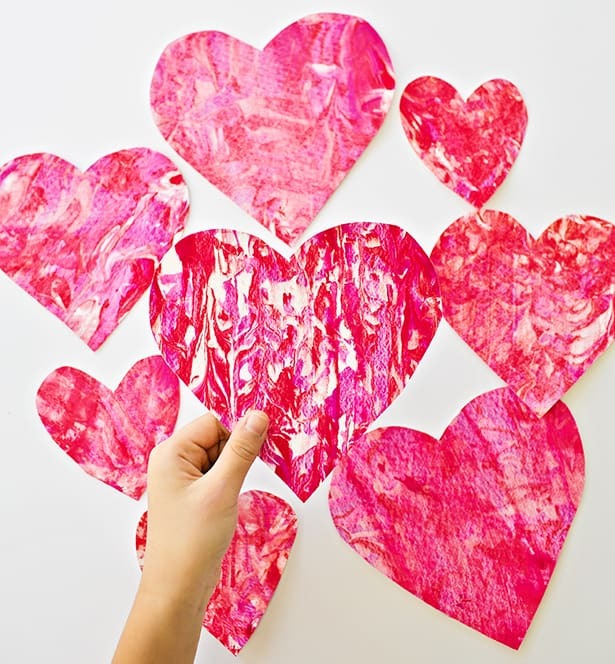 Find out how to make these gorgeous marbled heart prints that can be used for Valentine cards or garlands! 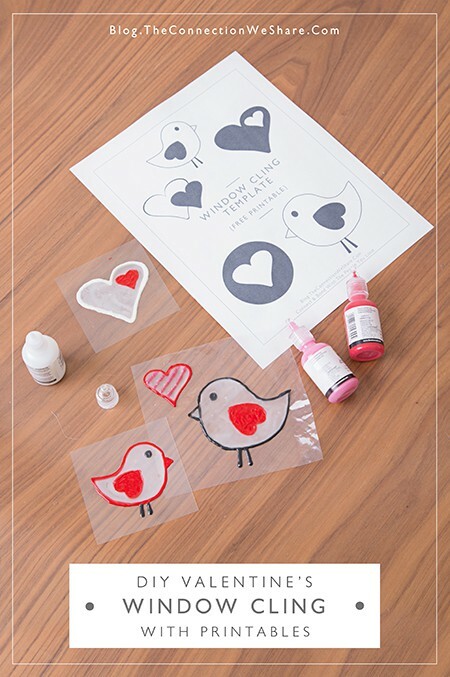 What are your favorite Valentine’s Day crafts to make with kids?